Decorating pumpkins for fall didn’t used to be my thing. It’s not that I thought they looked bad, I just hadn’t bothered with it. Mainly because I really like the color orange the way it is. I actually drenched my bedroom in orange and peach tones in junior high. My Mom nearly had a heart attack when I told her what I wanted to do to my room. I was on a huge HGTV kick (who wasn’t?). Fortunately it turned out alright. The room glowed yummy citrus tones. A few years later my decorating tastes evolved and I realized the room desperately needed a contrasting color, I had just discovered my (now eternal) love for aqua blue and teal. If I had known that aqua and peach would be a huge national trending color theme in department stores in 2016-2017, maybe I could have made serious money with the right connections. Let the records show, I came before the trend. Original idea. Anyways, that bedroom was epic. Everybody wanted to take naps in it because the colors were so lovely and inviting. My point . . . where did I put it? See, this is what happens when I start talking about colors and decorating! I’ll ramble on for way too long with “oh squirrel!” rabbit tails, spider-webbing on for ages. Pumpkins! That’s right. Because orange. Ok, I’m back. So look, never bothered with the Pinterest inspired pumpkin craze. But this year I did it. I started off easy and went classic. Here it is. My teal pumpkin. Isn’t she a beauty? The color seemed like an obvious choice for me. 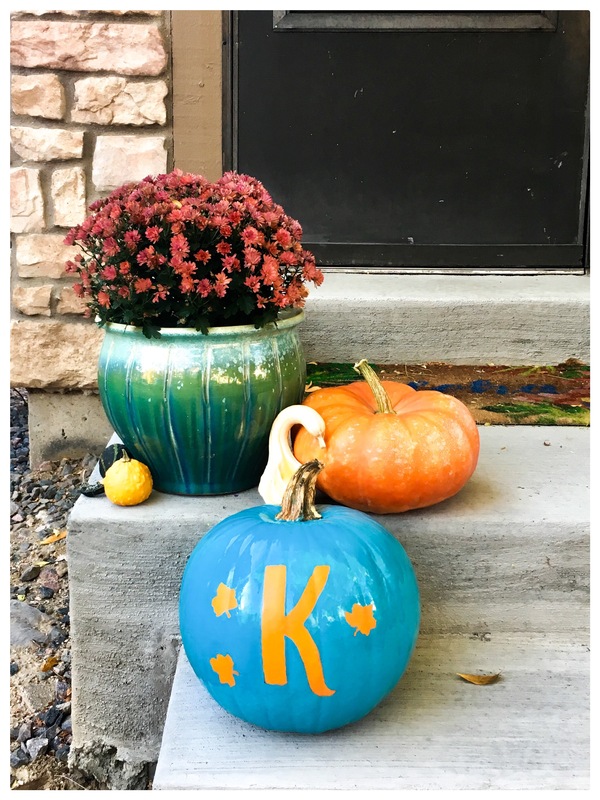 Plus, teal pumpkins now have a significant meaning! 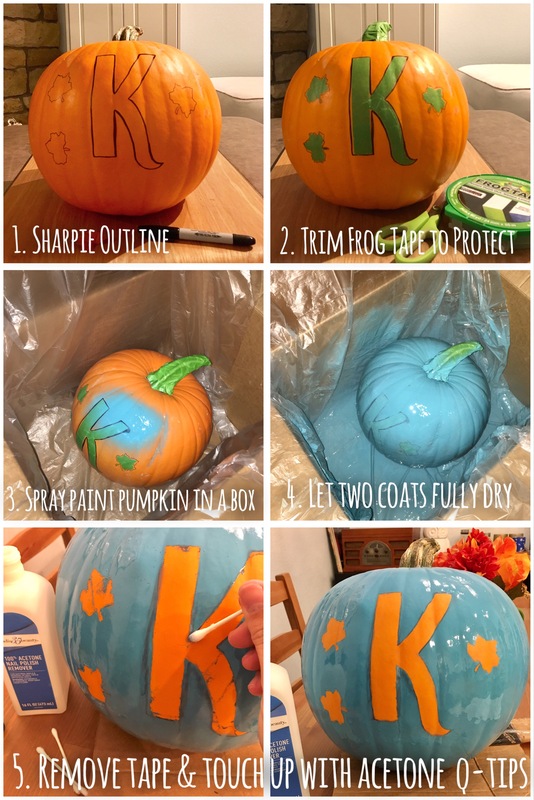 Do you know what the Teal Pumpkin Project is? If you put a teal pumpkin on your doorstep, trick-or-treater’s know that you have non-candy goodies for children who have any sort of severe food allergies. That way, they don’t have to miss out on the fun of trick-or-treating! If you’d like to learn more about it, click here for their website. They provide a handful of free and helpful printable to use in your community to educate others and spread the word. I’m so thankful I know about this, the idea of a tiny Spiderman and little Moana not being able to enjoy trick-or-treating just slays my heart. Click here for another awesome blogger’s inexpensive ideas for non-candy goodies. And if you’re ever wondering which pumpkins are the best for pie, the knobbiest and ugliest is the answer!